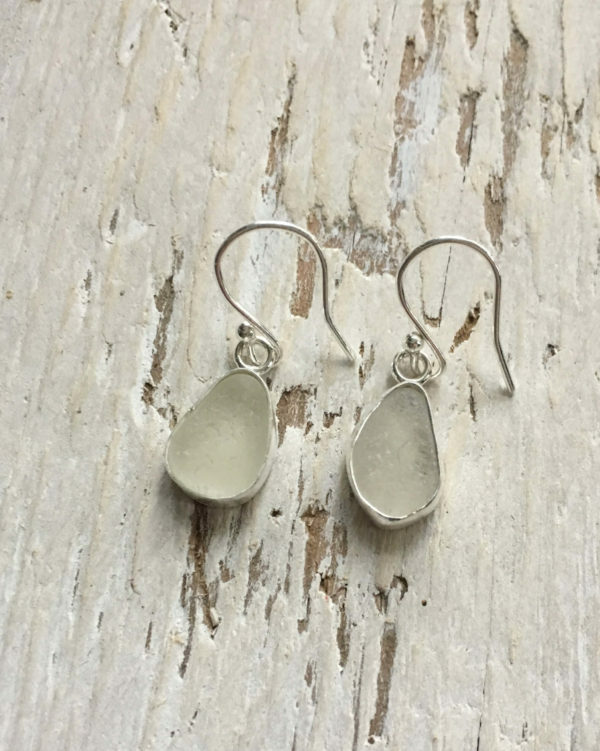 These Frosted Sea Glass Earrings are made with two beautiful pieces of tear drop shaped Sea Glass. 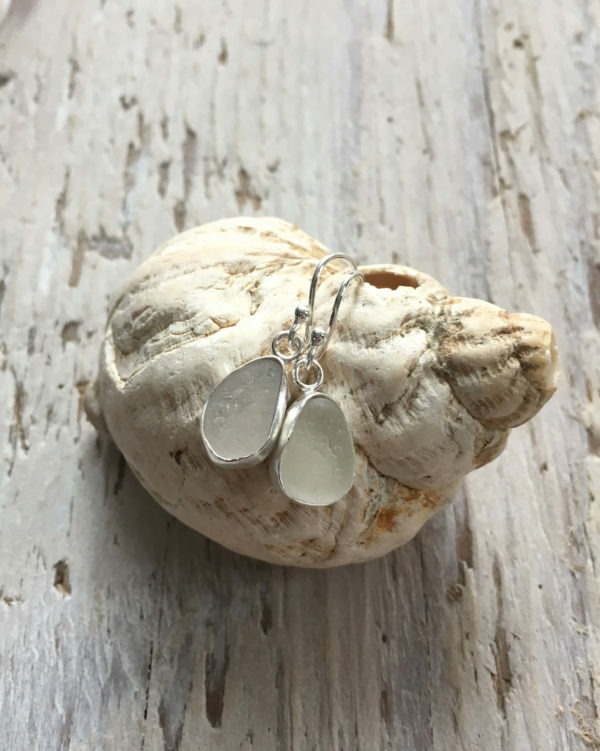 The sea glass pieces are approximately 12 mm x 8 mm and are bezel set in fine silver. 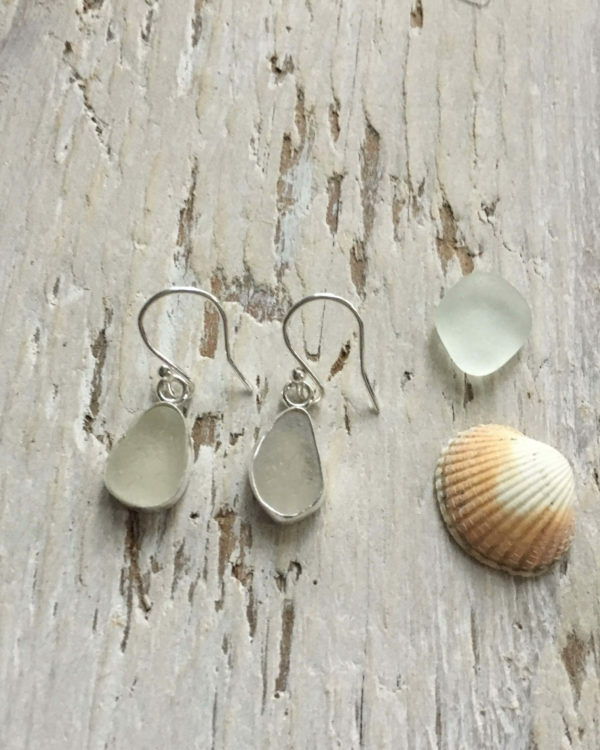 They dangle from sterling silver hooks. These earrings are a one off, the earrings pictured are the ones you will receive. Dispatch will be within three working days, by first class delivery.